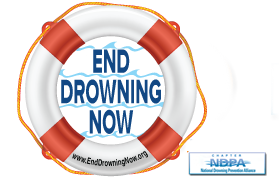 There has been much misinformation circulated in recent years regarding dry drowning and secondary drowning. Pediatricians should educate caregivers that dry and secondary drowning are not medically accurate terms. Pediatricians can address parental concerns by providing reassurance that nonfatal or fatal drownings do not occur at a later time in patients with no prior symptoms. #1/ Drowning Lit – A story about “Dry Drowning” and how Doctors should always update thier information. #2/ SAI describes use of terms; Near, Dry, Delayed and Secondary Drowning. #3/ KidNurse.com describes and faults of the terms; Dry, Delayed, Near and Secondary Drowning. #4/ Why ER Doctors Want to Banish the Term ‘Dry Drowning’.